Convenient large fixed rear bed and plenty of headroom for cooking and swivel chairs. Stove neatly covered with glass plate. Cooler by the door so you can conveniently grab some from outside. Porta potty handy working away in cupboard but always available. The minimum rental period for a campervan hire is rent 7 days in July and August 14 rental days. The rental period is from Friday to Friday. The pick up time is from 16:00 pm and the standard drop-off time is between 10 and 11 in the morning. 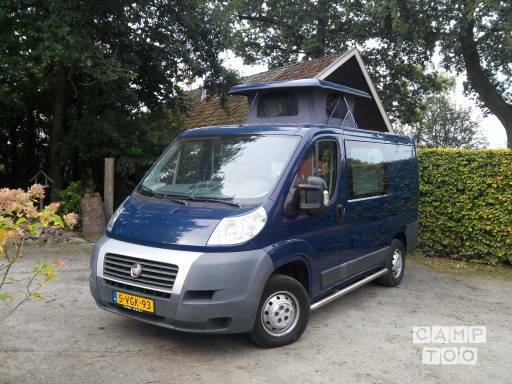 You can pick up the camper in Tynaarlo at Ugo Hoekstra.